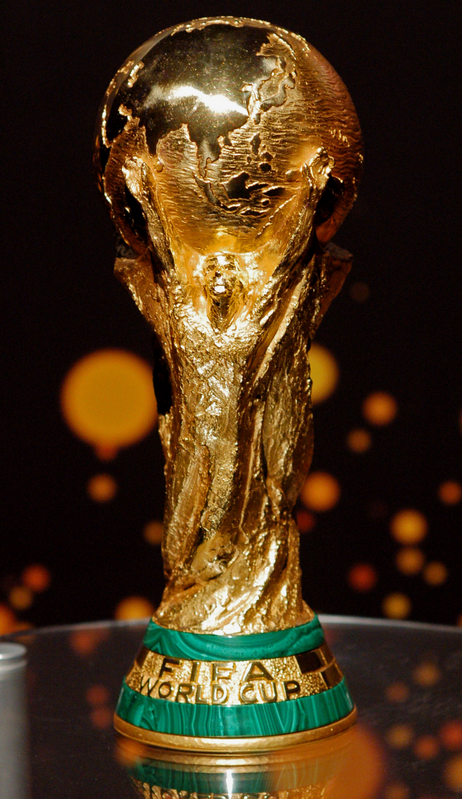 Welcome to the second installment of my World Cup Preview series, where I look at some of the top teams to compete in Brazil this summer for the biggest prize in world football. If you missed the first one about hosts Brazil, check it out here! Now to get to business. This time we shall be looking at a team that are heavily considered as the dark horses of the tournament, having improved considerably over the past few years, rising to 5th in the FIFA World Rankings. Colombia, the team in question, haven’t been particularly strong since the days of Valderrama, Higuita and Asprilla in the mid 90’s, and their current side could be considered as their best shot at a major international title in the next few years. It would be more likely for them to win the Copa America, but a potential World Cup triumph cannot be out of the question. However, amongst the 32 other teams in this year’s tournament, where do Colombia fall? Strengths: Colombia’s strength lies in their attacking force, with two proven goalscorers at club level in Jackson Martinez and Adrian Ramos, scoring a total of 31 goals between them so far this season. Colombia will hope that they can replicate this year’s club form, as their international goalscoring records aren’t anything to shout about; particularly Ramos’ 2 goals in 23 appearances. If the duo continue to mis-fire on the international stage, coach Pékerman may call upon River Plate striker Teófilo Guttiérez, an absolute wildcard in domestic football but has proven himself as a reliable striker for his country during the Qualifying Stages. Then factor in the support that Colombia’s attack will receive from the midfield, with young prodigy James Rodriguez and the pace and flair of winger Juan Cuadrado, who will be creating chances from virtually nothing. Weaknesses: This is the biggest opportunity that Colombia have had for World Cup glory in a long time and the current crop of players have a lot to prove on the big stage. This could result in them feeling an immense amount of pressure to perform, especially considering they are the favourites to progress from their group (placed in Group C with Ivory Coast, Greece and Japan, arguably the weakest group of the tournament). The forced omission of talisman striker Radamel Falcao due to injury is a huge blow to Colombia’s hopes too, as the world-class striker has been in scintillating form for the past couple of season for Athletico Madrid, and cruelly dealt an injury as he was finding his feet at new club Monaco. Star Player: Colombia’s hottest prospect in recent years, James Rodriguez has risen to the fore for his nation. Consistently dazzling during his former years at FC Porto of Portugal, he has replicated this form in his debut season for new club Monaco and is rated amongst some of the best players in Europe already at 22, with plenty of room to grow into his potential. A talented playmaker with game-changing ability, he will be crucial to any success Colombia have this summer. One to Watch: This may be the breakthrough tournament for promising striker Luis Muriel. Recently rewarded with a new contract at Italian club Udinese, Muriel is hotly tipped as a talent for the future, if not already the present. In 2012 he was awarded the Serie A Young Footballer of the Year accolade in conjunction with AC Milan’s Stephan El Shaarawy. He’s been known to have some issues with fitness, so consistency may be his downfall, but don’t expect him to be featuring particularly heavy this summer due to his international inexperience. Instead, expect to see him appear as an impact player in the latter stages of the game, utilising his pace and bursts of energy on tired defenders. Prediction: According to my prediction bracket, Colombia will have no trouble advancing through the group stages and will comfortably achieve first place in Group C, with Greece finishing second behind them. This would put them up again the second placed team in Group D, who I’d concluded could be England, but also potentially Uruguay as both teams have even chances to advance in my opinion (however, only one of them probably will due to the presence of Italy in this group). Personally, I believe that England could probably scrape a win over Colombia, although with the South American conditions, Colombia could thrive, but England would have surely adapted to the conditions after three games. Uruguay, more familiar with the typical South American climate, could certainly put up a fight against them, but would fall short in my opinion due to their lack of strength in squad depth, with star players becoming more exhausted as the tournament goes on. Regardless of which team goes through from these potential ties, they’ll probably end up facing Brazil in the quarter finals, and to me that result would be a no-brainer with the hosts picking up a victory. Colombia have a real opportunity to prove their selves this summer, however I think they may encounter a very tough stumbling block in the round of 16, and may scrape themselves into the quarters, but no further this year. Post any comments or discussion below! Any criticism, positive or negative is welcome, and if you have any team suggestions then feel free to let me know! This entry was posted in Uncategorized and tagged account, album, amazing, atmosphere, blog, culture, good, great, opinion, thought, thoughts, vintage, world. Bookmark the permalink.